The essence of Hume’s eighteenth-century philosophy was that all the sciences were ‘dependent on the science of man’, and that the foundations of any such science need to rest on experience and observation. This title, first published in 1932, examines in detail how Hume interpreted ‘the science of man’ and how he applied his experimental methodology to humankind’s understanding, passions, social duties, economic activities, religious beliefs and secular history throughout his career. Particular attention is paid to the English, French and Latin sources that shaped Hume’s theories. 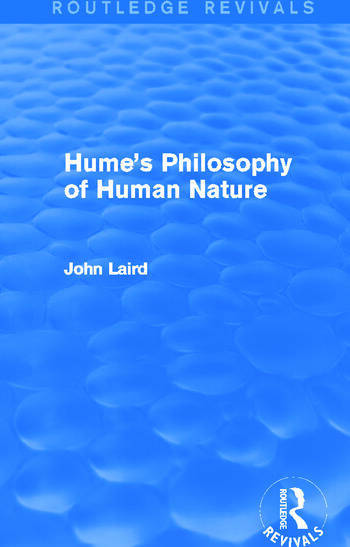 This is a full and fascinating title, of particular relevance to students with an interest in the philosophy of Hume specifically, as well as the philosophy of human nature and the methodologies applied to its study more generally.